Welcome to SeminoleIsle.com! The premier community information website Offering Condos & Townhomes for sale & lease in the excusive, gated community of Seminole Isle. For a FREE list of Seminole Isle listings emailed to you, just click here: Dream Home Finder and we'll conduct a personalized search for you. If you're planning to sell your home in the next few months, nothing is more important than knowing the right asking price. I would love to help you with a FREE Market Analysis. I will use comparable sold listings to help you determine the accurate market value of your home. Situated in the heart of the highly desired city of Seminole, Florida and only a 5 minute drive to the white sandy, pristine Gulf beaches. Seminole Isle community is the only gated & guarded waterfront community in the Seminole area. It is a one of a kind resort style community offering single level living condominiums and multi-level townhomes with over-sized garages. Every unit offers a fabulous view of some sort. From the sparkling fresh water ponds on the interior to the gorgeous views of the salt water inlets, each unit offers it's own special sights to behold. The community features a state of the art fitness center, a tropical surrounded, heated pool and upscale clubhouse with fitness center as well as 2 tennis courts. A walking trail surrounds the community and a community beach, screened picnic areas as well as dock and boathouse will allow you to fully enjoy the Florida waterfront lifestyle! The beautiful "Lake Seminole Park" is right across the street and offers fresh water boating access, water skiing, picnic areas, playgrounds, boat & jet-ski access, walking and biking trails and more. Shopping and many local shops and services are right nearby and the soon to be re-built "Seminole Mall" is only a minute or two drive away. Tampa airport is about a 20-25 minute drive. The location is perfect for a primary residence or second home with little maintenance to be concerned with. 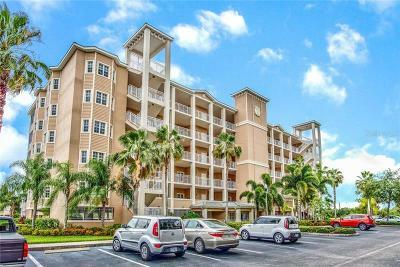 Seminole Isle condos have either 2 or 3 bedrooms and range in sizes from 1500 Sqft to 2100 Sqft. Seminole isle townhomes are either a 2 or 3 bedroom, with 2.5 baths and either 2,188 or 2,190 sqft,. They also all have 2 car oversized garage and are all multi-level. Contact us today for your private showing of the community. Don Charron Team - Your Seminole Isle Experts: 727-392-6700.